I have written about being a driven man. However, there are only a handful of things that motivate me beyond my family. Teaching, writing, interviewing Daw Aung San Suu Kyi, visiting Burma again to visit my close friends there, and taking care of Ginger. Ginger will be one-year old on October 28. And to be honest, caring for a nearly 70-pound puppy is time consuming. Nearly every day since I got Ginger, we have circumnavigated the Lake La Mancha upon which we live. It takes a little more than an hour. Upon returning home, I prepare our breakfasts. Hers consists of a cup and a half of puppy food and a scrambled egg mixed together. My meal is both less elaborated and time-consuming. It is a grapefruit and a pot of coffee, which will last most of the morning. Then I went to my office in my home and teach online classes and write essays. Ginger knows the routine. After an hour or more, she will nudge my hand with her nose, which means she wants to play. When lunchtime arrives, she gets a dried pig ear, and I have a tossed salad. Then we go down the street to a series of vacant lots where I attempt to wear Ginger out by playing fetch with her. Then we return home, and she busies herself with one or more of over one hundred bones or several toys she has. Dinner for Ginger is the same as breakfast except shredded mozzarella cheese replaces the egg. My dinner consists of one of the following: frozen flounder, a tossed salad, a large asiago bagel with honey, or a package of cordon bleu. I take Ginger out for a walk and return to my office. We do that dance every day except for Saturday night, which consists of a movie after dinner. A couple weeks ago, Ginger wanted to see another movie about canines. She loved A Dog’s Purpose and the Japanese version Hachi. This was our movie this week. We watched The Hound of the Baskervilles. 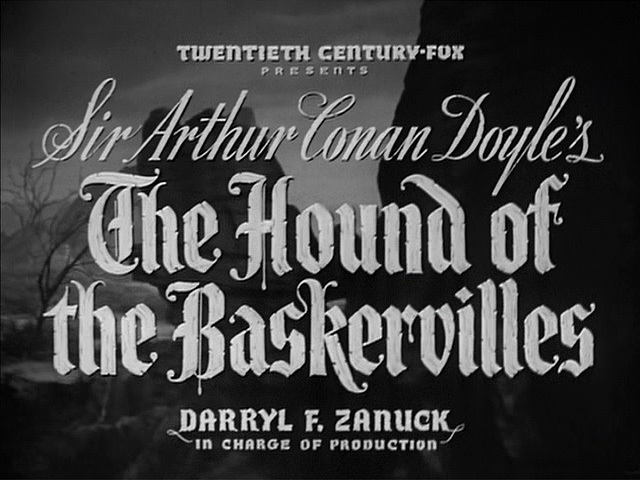 The movie was based upon Arthur Conan Doyle’s novel by the same name. One of the reasons that I have enjoyed all the Sherlock Holmes’ books and movies by Doyle is that Doyle was born in Edinburgh, Scotland. In addition, he graduated from the University of Edinburgh in 1885 with a medical degree. One hundred and ten years later, I did post-graduate studies there and lived next to the castle and New College. Doyle originally had The Hound of the Baskervilles published in a serialized form in a magazine starting in the summer of 1901 to the spring of 1902. His idea of the storyline came to him while playing golf with some friends. One of them mentioned a story about a ghost dog. Doyle created his story about a family by the name of Baskerville near the town of Dartmoor. A couple centuries before, Hugo Baskerville kidnapped a young lady resulting in his death by a huge hound. That killer hound of Hugo Baskerville tore out his throat on the moor. 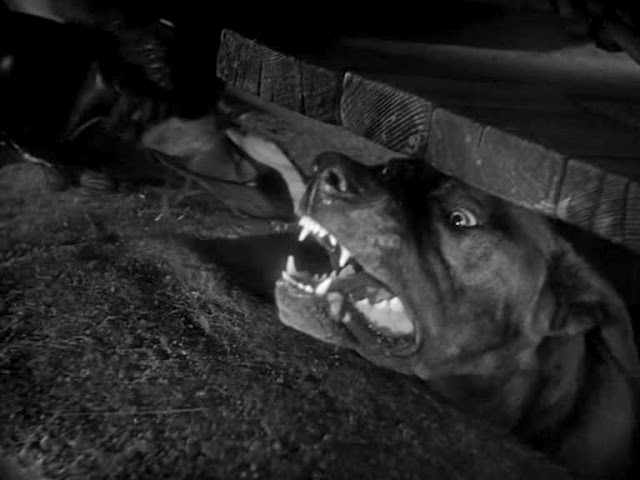 As a result, the Baskervilles live with the terror of that demon dog, which was alleged to have killed others in the family since killing Hugo. Sir Charles was the latest to meet his untimely death. This time, the hound had caused Sir Charles’ death by his falling off a large rock. After Sherlock Holmes and Dr. Watson investigated the case of Sir Charles’ death, they determined that an heir of the Baskerville’s, Jack Stapleton, owned the huge demon dog that caused Sir Charles’ death by falling off a large rock in the moor. Ginger and I enjoyed the movie and called it a night after I cleaned up the mess Ginger made while devouring the pig ear treat and some popcorn that I spilled. Finally, late that evening, we went to bed. The next morning, we awoke at 6:30am for our morning circumnavigating Lake La Mancha. While much of the walk is in the residential part, about a half mile is merely a path across the moor at the end of the lake. 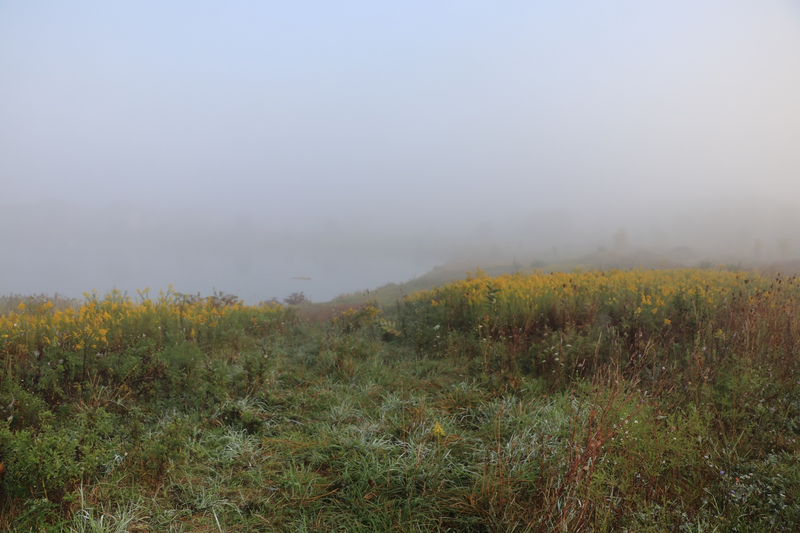 It was quite misty that morning. The small blue area in the middle of the left side of the photo is Lake La Mancha. Ginger waits until I caught up to her. 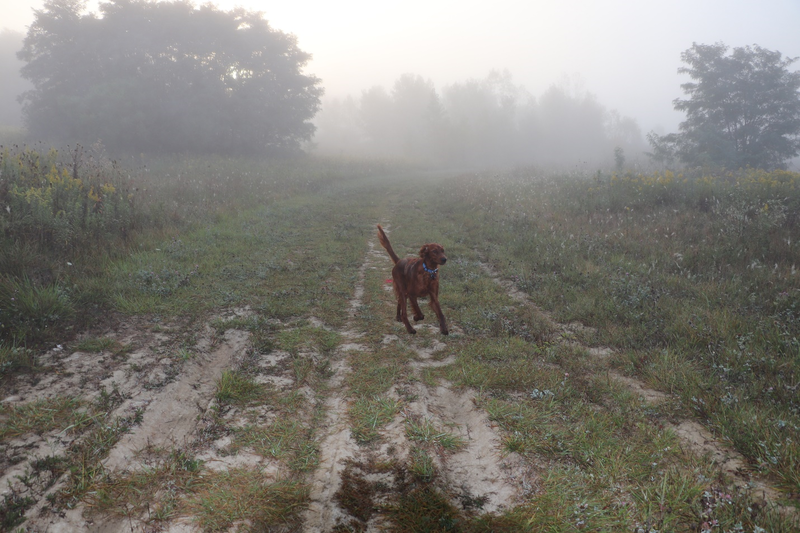 Then Ginger ran through the misty moor enjoying her daily exercise regimen. 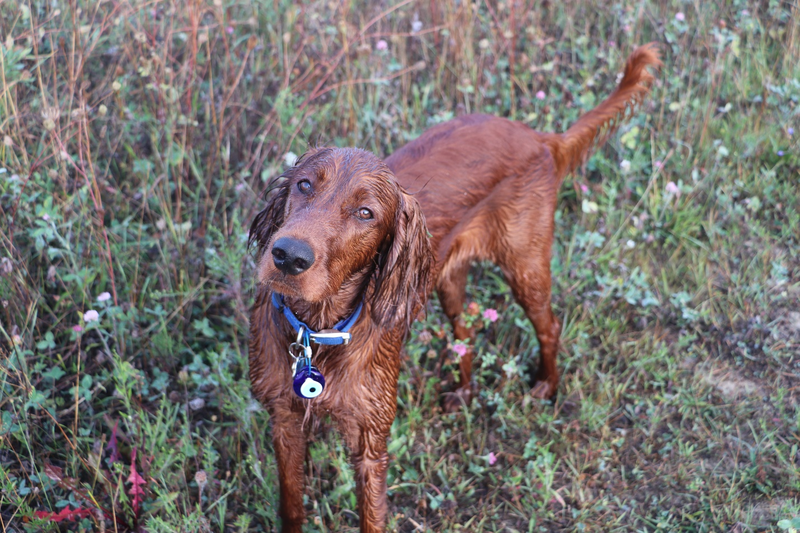 However, after returning to me having run all over the moor, she looked like she had just gone for a swim in the lake. The vegetation through which she ran for a half hour was quite wet. 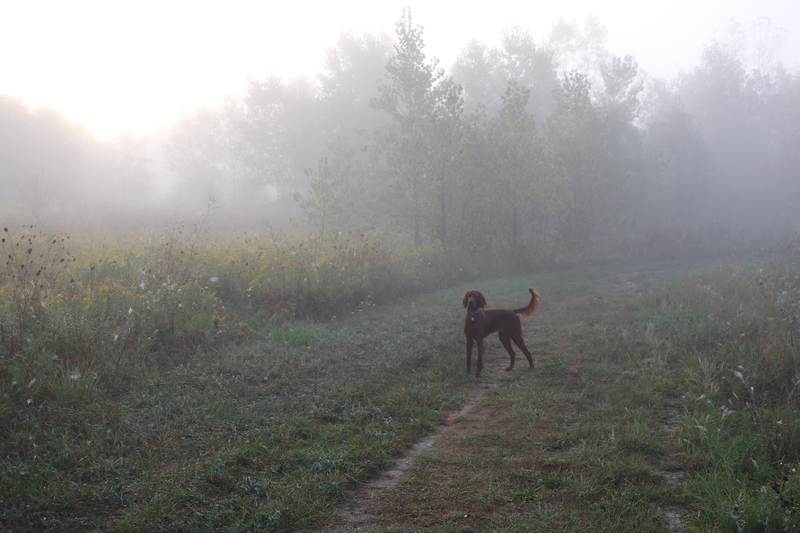 As we headed home, she mentioned The Hound of the Baskervilles that we had seen the night before. “This moor reminds me of the movie we saw last night.” I agreed. It was misty on the moor. 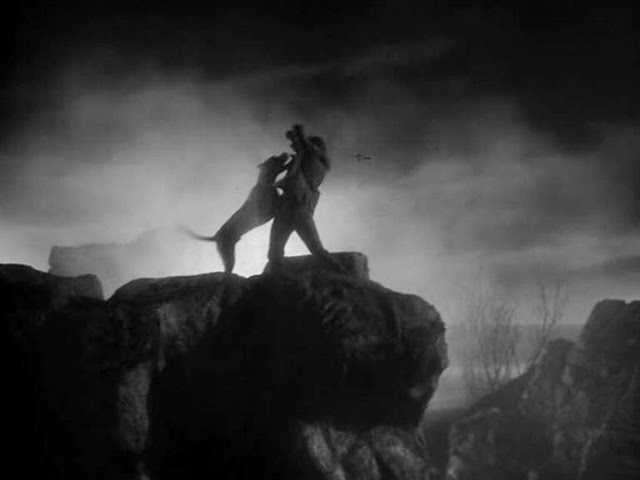 This is a video of The Hound of the Baskervilles.